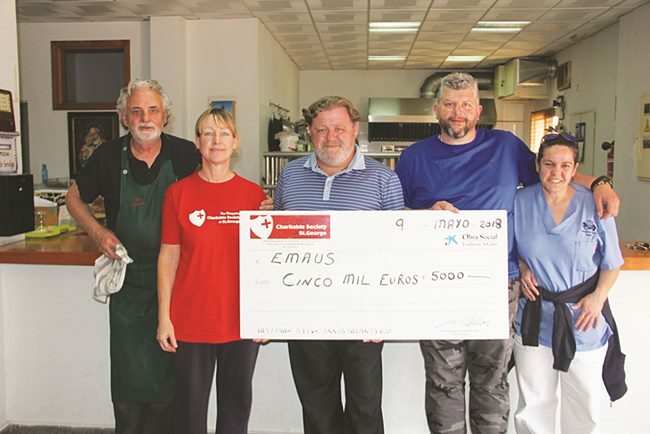 The Duquesa Charitable Society of St George, continued its collaboration with the Emaus social kitchen in Estepona, with a donation of 5,000 euros towards the Feed a Child Campaign which aims to provide individual breakfasts and lunches for schoolchildren that were previously going without these essential meals. Experts have determined that hunger can diminish children’s ability to concentrate and learn by up to 50%, making breakfast one of the most important meals for schoolchildren. The Saint George Charity donates in the region of 10,000 euros annually towards this project. Thanks go to all the charity’s volunteers and donors, along with one of the project’s chief fundraisers, Jojo France from Sotogrande to whom both Emaus and the Saint George Charity are grateful.